In 2017, the Capuchin Soup Kitchen served over 560,000 individuals in total through our kitchens, food pantry and shower program. We thank all of you for your dedicated support of our ministry. Learn about different ways to support us. We served 171,410 meals last year at this location. Approximately 600 meals a day are served at the Meldrum Kitchen. Our Meldrum guests are typically male, experiencing homelessness or in unstable housing, often diagnosed with a mental illness and/or substance abuse addiction. We provided an opportunity for 5,960 individuals to receive a shower last year at this location. Our facility provides showers and a change of clothing for about 23 people each day to give those in need a fresh focus and an increased sense of dignity and self-worth. We served 328,140 meals last year at this location. Approximately 1,100 meals a day are served at the Conner Kitchen to working families and seniors. As many as one-third of its meals are served to children 12 and under. 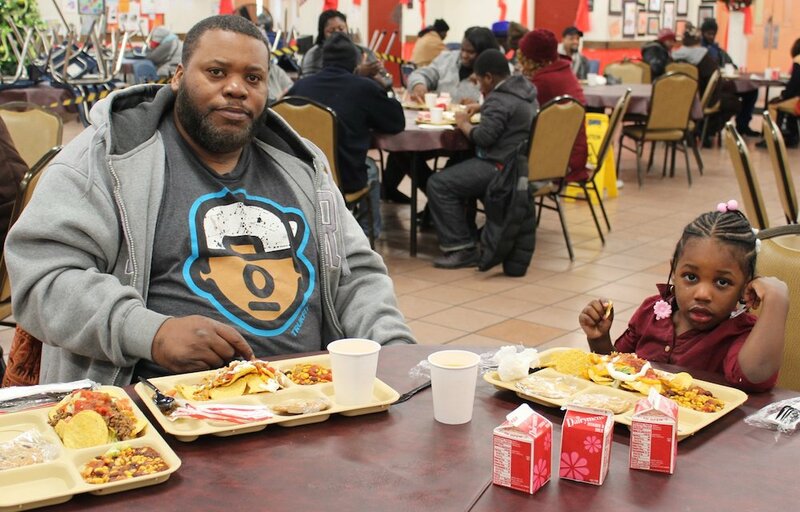 We provided 2,589,751 pounds of food last year to our Detroit neighbors. The food pantry serves about 200 people per day, many of which represent households, which amounts to about 10,000 pounds of food every day. The Service Center features a 'shoppers' choice' food pantry to resemble a small grocery store, complete with reach-in freezers and coolers, vegetable and fruit islands, bread and pastry racks.